The Cricket Kenya Elections will finally be held in December this year after a long spell of squabbles within the stakeholders. 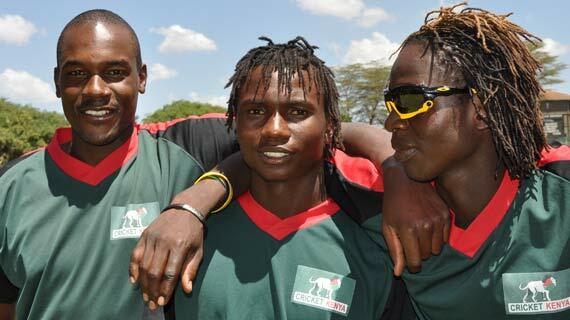 The election will for the first time in the history of Cricket Kenya have a lady vying for the top seat. Jakie Janmohamed, a former legal advisor for the old Kenyan Cricket Association will be gunning for the Top seat left vacant after immediate former chair Samir Inamdar decided not to seek re-election. This follows a move by Nairobi Provincial Cricket Association to soften their stand and presenting a list of candidates to the CK therefore ending months of wrangles. The elections were initially meant to take place in February before they were moved to July from where they were postponed to an unknown date. Former CK CEO Tom Tikolo had won a court order earlier in the year preventing NPcA delegates from representing the association in elections which had originally been due to take place in February. Tikolo's action prevented most of the country's largest body, NPCA, from participating in the elections. He was then elected the NPCA Chairman last August even though he had been forced to stand down as CK chief executive at the end of 2009 after failing to account for board funds received by him. Tikolo said it is about time elections were held to help the once strong body get back to its fit to develop CK. “If wrangles continue to prevail there is no way we are going to move forward. Our objective is to have CK and NPCA working together for the betterment of the sport. We hope the elections will put the house in order. We have done our part and it is now up to CK to announce the election’s date.” Said Tikolo.